Michael McDermott's highly anticipated follow up for the critically acclaimed WILLOW SPRINGS is the new album aptly titled OUT FROM UNDER. McDermott's aforementioned album put Michael back on the map after garnering stunning reviews all across the US and Europe. Highlighting the year was reaching number 1 on the EuroAmericana Chart to go along with countless top ten lists and sold out shows at home and abroad. In his storied career, 2016 was his best year to date. The 11 song collection of songs which makes up Out From Under takes the listener a step further in the journey. 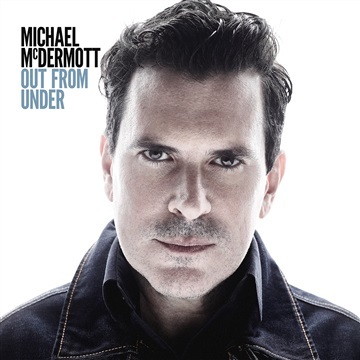 After a life, rife with drugs, drink, jail, tragedy, majestic failure and now an amazing comeback, Out From Under is the album McDermott has wanted to make all his life, the album he was always supposed to make. The album everyone knew he COULD make.